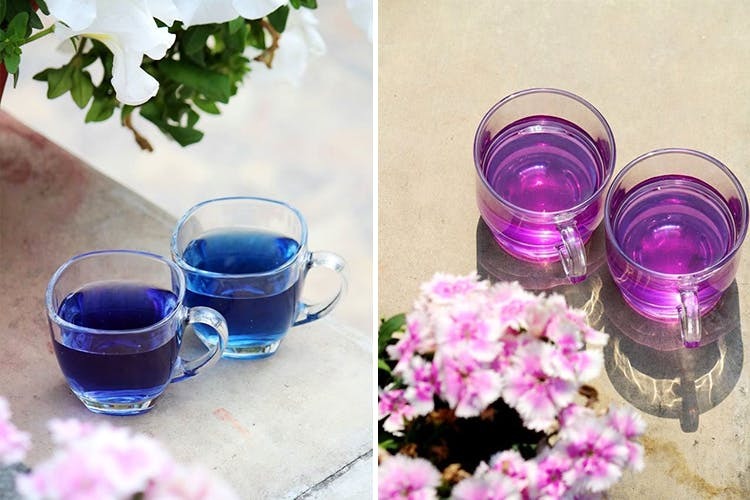 Chai Lovers, Did You Know That Blue & Purple Tea Are A Thing? Blue Tea India is the country’s only brand making blue, purple and red tea from flowers. The folks behind the brand wanted to provide a prettier, healthier and more palatable alternative to green tea, and over the last year, they’ve found takers in ITC, The Roseate, closer to home and Burj Khalifa to name a few. Caffeine-free beverages that are all natural, healthy and even lend themselves to yummy cocktails and mocktails. The fact that these cups of tea are as Instagrammable as they are good for you, makes us want to give these a chance. Because they are flower infusions, they have a slightly sweet aftertaste that’s perfect to wash down mini sandwiches at a high tea, or as a mid meal substitute to an overly sugary glass of iced tea from the nearest coffee shop. Add to this the purple tea’s ability to aid weight loss and the blue tea being rich in antioxidants, and we have a pretty compelling reason to order an assorted box. We also learnt that this tea is now being called culinary tea, because chefs are using it to make blue noodles. We even know of a certain cafe in Hauz Khas that’s making blue momo from this. Cool, right? We tried to get in touch with Blue Tea India on social media, and we expected a shorter response time. This might have been a one-off, but we’ve known brands that are a lot quicker and prompter about getting back to questions. They deliver across the country within a 2–4 day window. Also, there are umpteen recipes to try using these, in case you don't fancy the flavour brewed in a cup.